There exists a global community, a loosely knit consciousness of individuals that crosses boundaries of language and artistic disciplines. It resides in both the online and physical space, its followers are dedicated, if not fervent. The object and to some extent, philosophy that unites these adherents, is a computer system called the Commodore Amiga (https://en.wikipedia.org/wiki/Amiga). So why does a machine made by a company that went bankrupt in 1994 have a cult like following? Throughout this essay I will present to you, the reader, a study of qualitative data that has been collected at community events, social gatherings and conversations. The resulting narrative is intended to illuminate the origins of the community, how it is structured and how members participate in it. Game industry professionals, such as the person interviewed during the research for this paper, will attest to the properties, characteristics and creative application of the machine, and how this creativity plays a role in the sphere of their community. I will examine the bonds of the society, to determine if the creative linage of the computer plays a role in community interactions. 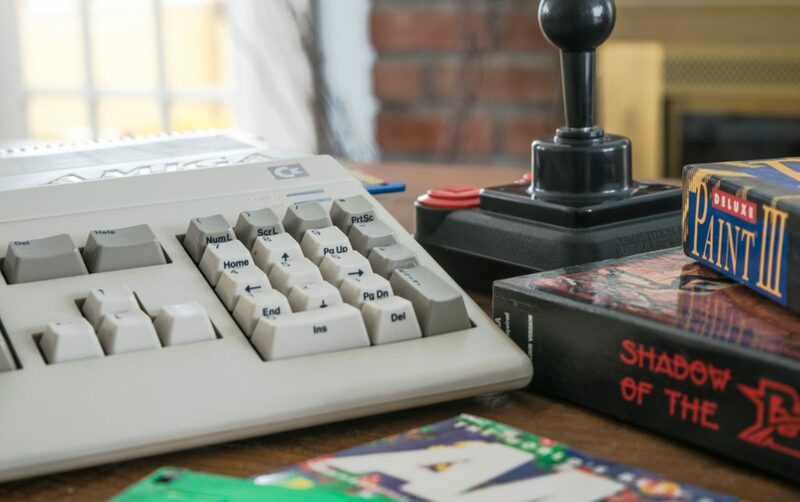 The story of the Amiga and its maker, Commodore, is a long and complex tale, confusing it with a Tolstoy saga could be forgiven. 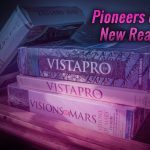 The purpose of this study is not to retell the origins of the Amiga computer or the demise of Commodore, but instead to look at the people that surround todays close knit global community. of the Commodore Amiga 3000T. 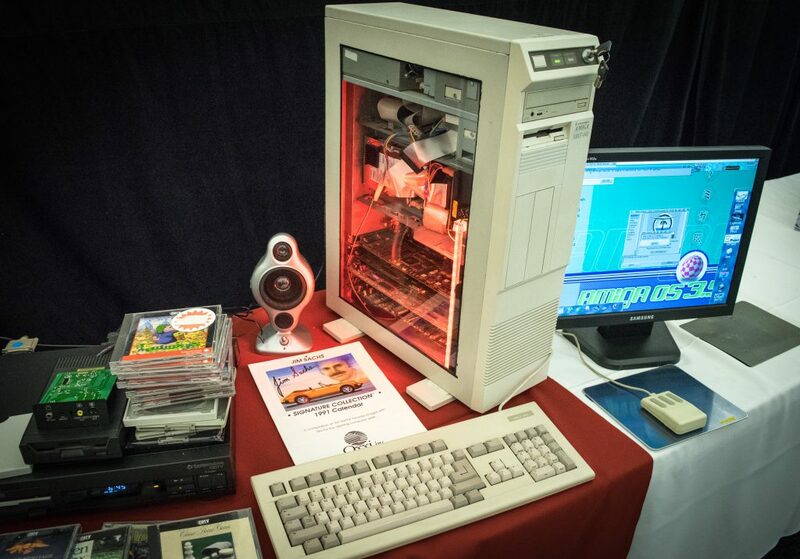 Home computing was undergoing a revolution during the mid 1980’s, computing power and connectivity, were on the rise while the entry cost into the hobby was dropping. The market was awash with systems that were all jockeying for pole position. 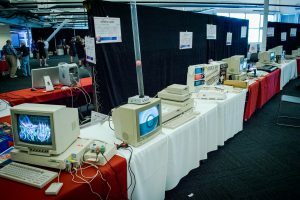 One system that stood out from the rest was the Commodore Amiga, a system so unique and powerful for it’s time, it had Steve Jobs of Apple Computer nervous. In 1985, the Apple Mac was limited to a grayscale display, where as the Amiga had color modes that went up to 4096 colors. Membership is informal and very few User Groups (interacting users based in a similar geographic location) exist that require registration. This differs from operations in the past. Local User Groups in the 80’s and 90’s typically required member dues and were operational around the world, frequency of meetings varied from weekly to monthly. In a much more limited scope, a number of these groups have either survived through the decades or reformed in new capacities, as can be seen at local meetings and their presence at yearly conferences. The observed population segment that attends meetings and conferences is typically older, averaging from mid 30’s to late 50’s and mostly male. With exception of smaller User Group meetings, most events that occur are on the scale of 200 – 300 people and cover a wide geographic area. Conferences are quite affairs, the primary goal is to impart knowledge in a social setting. The unmistakable hum of old CRT monitors serves as ambient white noise, occasionally punctured by a computer game melody and cheerful laughter. Some machines are to be observed, from a distance, either they are rare and valuable or delicate and difficult to maintain. However, these machines were made to be used, and standing alongside the interactive exhibits, their owners are typically ready and more than willing to answer any questions. The nature of the community and format of events enables individuals of all levels to participate how they see fit. Meetings and larger shows are frequented by members imparting their historical knowledge about the computer, games, demo and BBS (Bulletin Board System) scene. It’s quite likely some members didn’t make the conscious decision to become affiliated, instead their connection evolved out of their interest in computing, art or music. For others, collaborating with people of complimentary skills sets, has produced new hardware designs that weren’t thought possible 30 years ago. Active participation in forums and group discussion helps mold the direction of projects, further adding to the intellectual wealth of the community as a whole. a renowned demo of the early 90’s. Software demos that are seen showcasing the capabilities of the Amiga at conferences or another type of event called “Demo Parties”, are decedents from a programing and art inspired sub-culture called the “Demoscene” (https://en.wikipedia.org/wiki/Demoscene). The Amiga can be partially attributed to the creation of this related sub-culture. Individuals with specialized talents in art, audio production and programming, who teamed together to form a group, are collectively known a Demogroup. 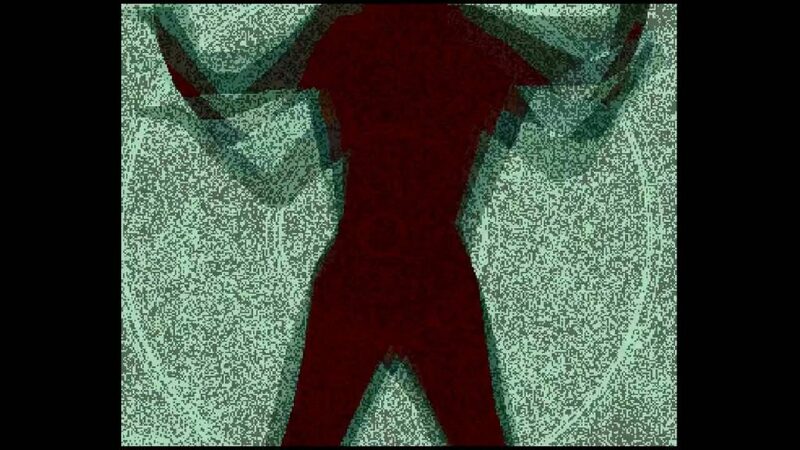 Together, the art and effects produced, push the computer to new limits. Competition between groups was, and often still is, very competitive, with one group trying to out do another with a style of coding technique. Today, is not uncommon at community events to find the the products of demo parties running on either original 30 year old hardware, or being emulated on a modern laptop. Programmers are often coding “close to the metal”, that is, the languages they are using, have the minimal amount of interpretation by the computer that require the program to run, they are directly accessing physical parts of the machine. The simplicity of the Amiga that enables this type of coding, is an incentive to younger generations – the “style” of the machine allows them to show off their skills. Younger members are forming a solid base in primarily online forums, but also at physical demo parties. The logical conclusion is that these individuals are one way the community will continue to grow, as the older generations inevitably pass on. 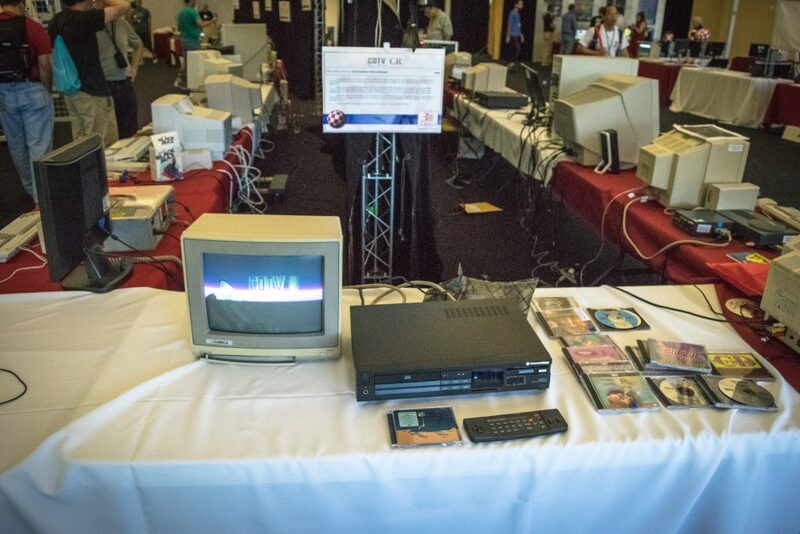 Commodore CDTV on display at Amiga 30. Let us reference back to the primary assertion: the Amiga computer is a tool that binds creative individuals into a community. To understand that statement, we must look at how the creative empowerment, enabled by the Amiga, gave rise to careers in the game industry. 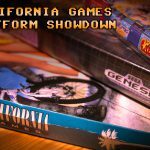 When questioned with: What was your favorite platform to develop on “Back in the day?”. 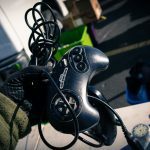 The response from an interviewed seasoned developer was: The Amiga home computer, a machine with a custom chipset for handling sound, video and I/O (input and output to the computer). 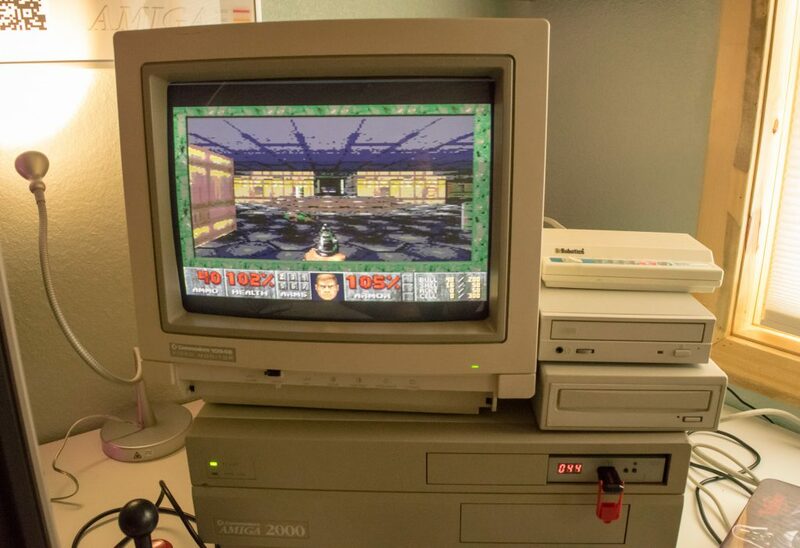 Combined with a low price point, the Amiga was the best choice for game development with it’s powerful graphic capabilities. Secondly let us consider the response another question: When do you define the “Golden age” of video games? Answer: Probably 1987 to 1988, the C64 was in full swing and the 16bit machines (the Amiga) were just starting to take hold of the market. Game development teams were growing in size in terms of numbers but they were still small enough for each member to feel the contribution of their efforts. The underlying message that can be extrapolated: is creativity, an important function for this interviewee. We can juxtaposition this inferred importance against observations at User Group meetings, to assume that the glue of the community, the reason these individuals are meeting, is the creative capabilities of the machine. When we position the origins of the Amiga community – what it enabled users to do: coding, art and music, next to the observed creative output that is still being presented at meetings, the conclusion suggests, the forces of attraction to the community are not only a notion of nostalgia for a games machine, but the act of creativity itself. The achievements of the individuals that conceptualized the Amiga computer are highly recognized. 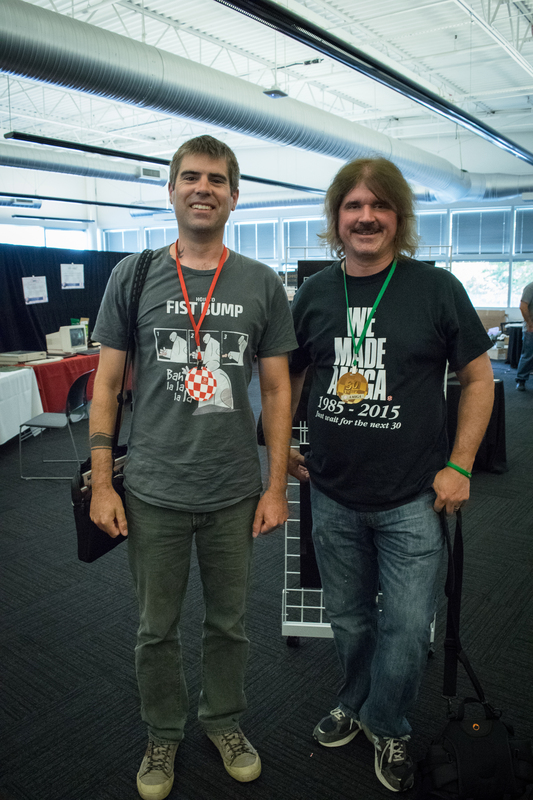 Engineers that worked for Commodore, such as Dave Haynie in the 1980’s and 1990’s along with hardware developers that continue development, command enthusiastic audiences at community events throughout the year. It has been witnessed through observation at these events their willingness to meet and talk with not only small, intimate groups, but also large audiences. It could be inferred that these actions not only help preserve the legacy of their work, but they are also functioning as ambassadors for the community. Their efforts and openness introduce people to the platform who might not have been users during the machines commercial years, and help the community to thrive and expand. Observations in the field have shown there is a specialized niche for newly produced hardware that typically enhances existing machines or replaces faulty components. Vendors and technicians present at conferences perform technical services, many of whom do it for the love of the platform, and of course, a nominal fee. Tucked away in corner locations, surrounded by machine carcasses, toolkits, soldering irons and empty caffeinated beverage cans, engineers can be found laboring on delicate hardware, the long lines of customers imply demand for their skill is high. This observation of dedication, seen at events and in the online realm, reenforces the notion that individual’s embrace their technical contribution. Their goals are not solely profit driven, and they are finding their niche in the community with this service. Families play an important role at conventions, a large diversity of activities are available to entertain younger children that accompany parents. Finding kids glued to a monitor playing a platform game is a common sight. Introducing children not only continues the community and provides them with a glimpse of their parents youth, but has the added benefit of helping them understand the core concepts of computing, something which is often difficult to comprehend on modern systems. 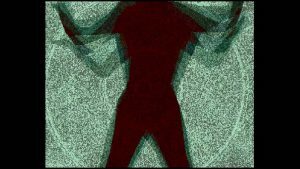 An outlet for creativity – art, music, animation. Intellectual challenge – programming, electrical engineering. Historical connection – familiarity and lengthy community interaction. Nostalgia – Games played in the past, introducing children to component of the parents youth. 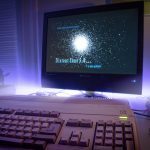 With this information, would it be reasonable to speculate, the term “Amiga” not only describes a computer, but also a community who’s collaborations continue to find new ways of expressing art? It’s a vision or non-tangible quality that cannot be described by the computers physical form of silicon and ABS plastic. I would postulate that it is not an enormous stretch, to draw the conclusion, that the Amiga community isn’t centered around it’s physical attributes. Instead, the community is defined as a collective consciousness of creativity and camaraderie, who’s inclusivity is not limited by an individuals own aptitude for any one creative or technical outlet. In 1993, Mentifex here started programming artificial intelligence in the Amiga REXX ARexx language. Thank you Nick! You raise a good point about the education component. In a way, I see the low level addressing of the ARM based development boards, to be a kind of spiritual successor to the Amiga system. I loved my Amiga. Unfortunately it died mid 2000. Thankful there was an emulator for Android. Coupling that with Bluetooth mouse, keyboard, gamepad, 200gb sd, and Chromecast I’m playing all my old games that I love. Oil Tycoon, Nuclear War or Ants anyone? It’s pretty cool. You can do the D0:-D6: then hd. It takes a little fiddling to get things right, ok, a few hours, but after all the work you can’t tell the difference, well, aside from it being on a widescreen TV and shaders enabled. Thanks Tony! I was just getting into the A500 as my mates were moving onto the A1200. I to came from the ’64 world, it took a lot paper round money to save for that Amiga! Obviously the animations have been remastered for 1080 widescreen, but the geometry, textures and the software that produces the frames was rendered using Amiga Software. Thank you for sharing this video, that’s awesome! As someone who has an Amiga 500 and Amiga 1200 still running in his den, I think the biggest nostalgia was and still is how you can customize the hardware, it was so pure. It is also amazing so much of the music, graphics and games have held the test of time; Another World, Defender of the Crown, Shadow of the Beast, Turrican and Flashback to name but a few. I still spin up a mod or two in the background while playing a game or even surfing on a new machine. I agree, the machine’s artwork and sound capabilities have held their own, it’s style is distinctive. I still fire up Vista Pro to generate a gritty, 32 color landscape. I used to crave an RTG board back in the day, now I appreciate the simplicity of the machines style. I still use the Amiga in the form of AmiKitX. Hi Alan, thank you for creating AmiWest! Every year I try to get out to CA to join in but something always comes up. Maybe this year I’ll make it. Thank you for sharing that article. I’ve bookmarked it for a free moment, it looks like a good read.